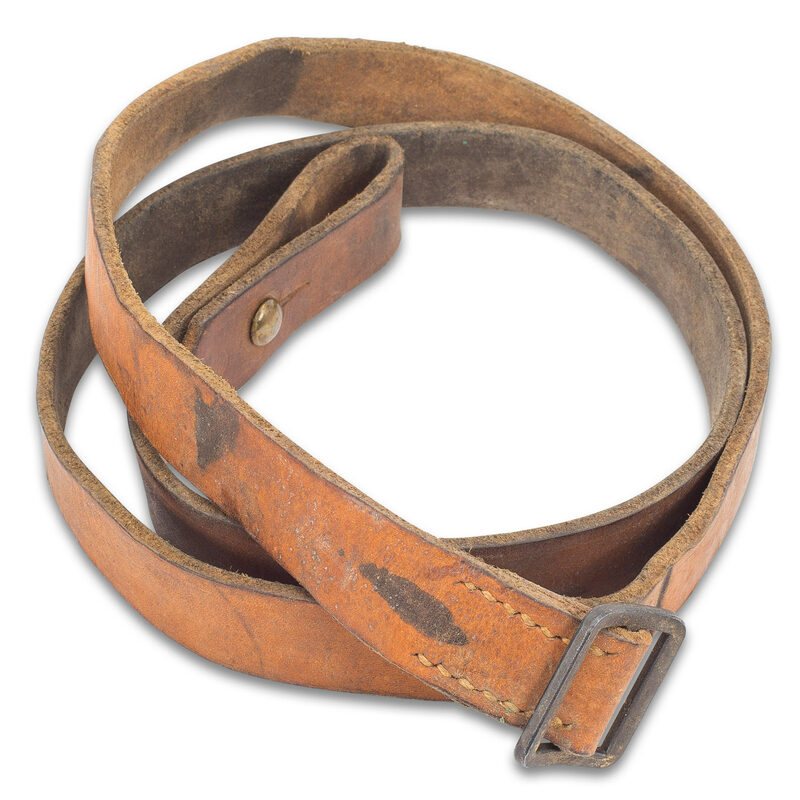 German Military Leather G3 Rifle Sling - Used - Genuine Leather, Metal Buckle, Heavy-Duty Stitching - Length 52” | BUDK.com - Knives & Swords At The Lowest Prices! 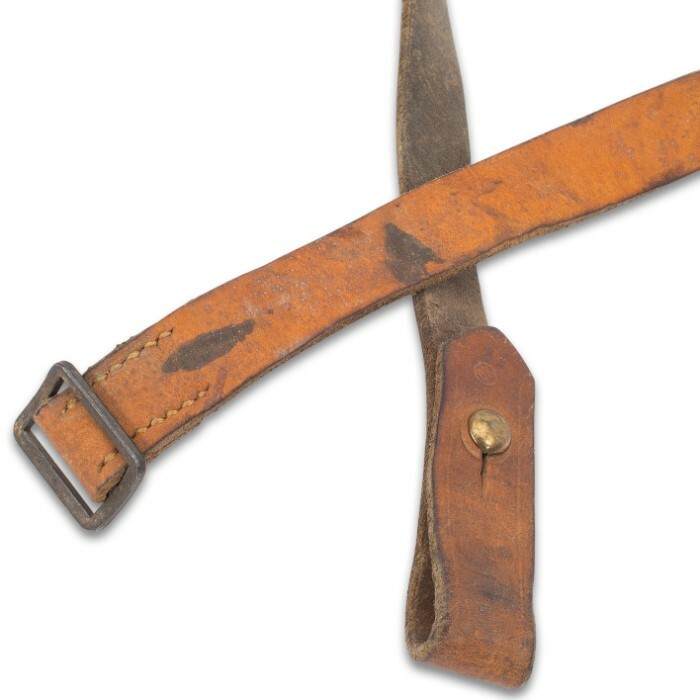 The tough-as-nails rifle sling will support a rifle weighing from 9 to 10 lbs and is 52"x 1"
The German Military Leather G3 Rifle Sling was designed to shoulder the load of the German G3 battle rifle, which was developed in the 1950s. The tough-as-nails sling has a 100 percent leather construction with a strong metal buckle so, it will support between 9 and 10 lbs. Use yours to carry your favorite firearm or as a conversation piece to add to your vintage military collection.